Sun exposure can actually affect dermal fillers and their overall look over time. While this does not mean you should stay out of the sun completely, it is best to be safe and to take certain precautions in order to protect your skin—and what’s under it—from the sun. Many experts swear up and down that dermal fillers will not be affected at all by the sun. Unfortunately, though, just as untreated skin can be affected by too much direct sunlight, so can skin treated with fillers. The ultraviolet radiation found in sunlight can begin to erode the hyaluronic acid which is found in many popular injectables. While this isn’t likely to occur as soon as you step out into the sunlight, sun exposure over time, and especially if your skin is still going through the healing process, could reduce the effects of the wrinkle fillers more quickly than intended. It can also cause problems with healing. How Can I Avoid These Issues? 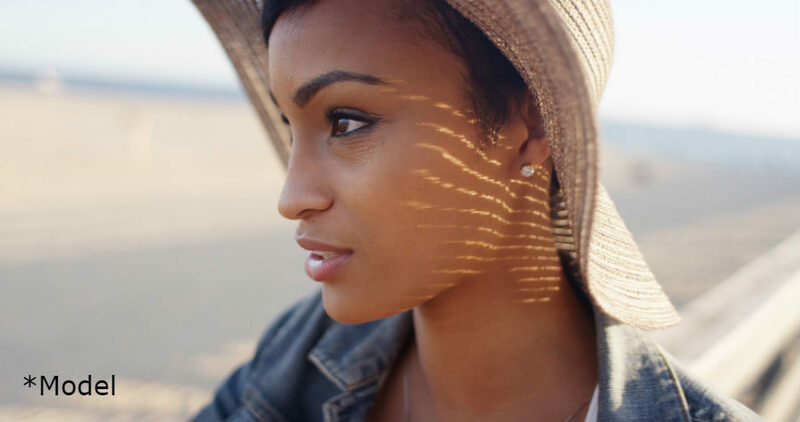 You can protect your skin from the sun in many ways, and the same strategies can often be used after you have dermal fillers put in. For example, you can make sure to wear sunscreen with a high SPF, use topical creams with antioxidants in them, and wear a hat when you go outdoors. These are especially helpful early on when your body is still recovering; you won’t want to expose your skin to any unnecessary sunlight. In addition, don’t try to tan after getting dermal fillers. If you do want to get the look of a tan, you can always buy self-tanning spray (check with a medical professional first before you use it). If you're considering injectables to enhance your beauty, call James Christian Sardelli, RPA-C. Every product we have available is especially designed to solve many of the issues that people start to see as they age. Free consultations are available at James Christian Cosmetics today. Call our main line at 1-844-iBotox-Now to learn more about our locations and appointment availability. If you have questions outside of business hours, call our 24/7 Cosmetic Concierge line at 917-860-3113. Experienced, skilled, and knowledgeable James Christian Sardelli, RPA-C will help you look your very best. We proudly serve the residents of Suffolk County, and the surrounding areas of Long Island and beyond including East Setauket, Islip, West Hampton Beach, Commack, Manhattan, Brooklyn, Rockville Centre, Farmington, Babylon Village, and Huntington Bay, New York.